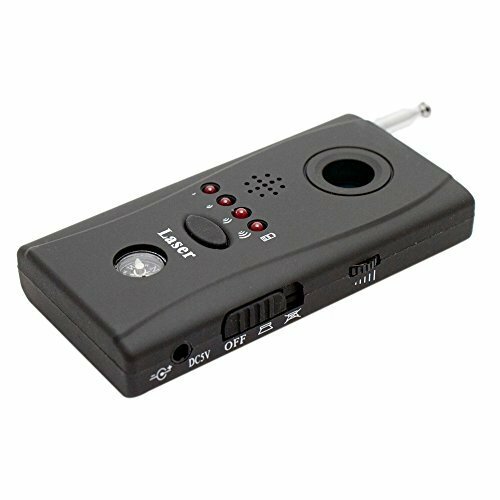 We are delighted to stock the brilliant Mini Gadgets Counter Surveillance Camera Detector with Directional Finder. With so many available today, it is great to have a make you can trust. The Mini Gadgets Counter Surveillance Camera Detector with Directional Finder is certainly that and will be a superb acquisition. 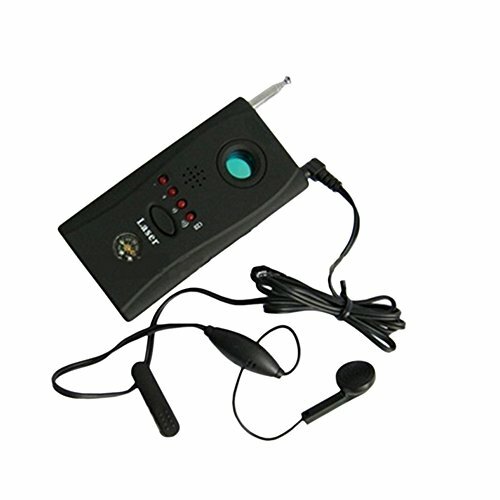 For this great price, the Mini Gadgets Counter Surveillance Camera Detector with Directional Finder is widely respected and is a popular choice for many people. Mini Gadgets have added some great touches and this results in good value. Many people have the feeling they\'re being watched or eavesdropped on. But this is an issue of particular importance for law enforcement personnel and spies. Sometimes while you\'re keeping tabs on others you also need to know whether somebody\'s keeping tabs on you. And its not like you can just ask and expect an honest answer. At those times, this device is your best friend. This wireless detector will expose both wired and wireless cameras, dead or alive. The ultra advanced hand held unit will also let you know about RF bugs and wiretaps in one of three ways: with an alarm, silent LED or silent vibration. Locates bugs on frequencies from 1 MHz to 6500 MHz. Alerts to VHF, UHF and GSM devices. This particular unit also has an internal Li-Ion battery, eliminating the need for pesky batteries. Best of all this unit is geared with the professional in mind. The built-in compass will make locating and notating locations of bugs during large building sweeps a breeze. Included with this unit is also a set of earbuds, allowing you to sweep without distracting others. Detects hidden video cameras, dead or alive. Wide range sweep for bugs from 1MHz-6500 MHz. Detects wired & wireless hidden video cameras. Silent alert vibration mode. Adjustable sensitivity. Multi-alarming mode: vibrating beeping and LED. Viewfinder combined with flashing LEDs for detecting camera lens. Very small, lightweight and portable size. Specifications: Detecting Frequency Range: 1MHz-6500 MHz. Laser Detecting Range of Wired Cameras (self-shoot): 0.1-10 m. Detecting Range of RF Devices: 0.05-10 m . Viewing Lens: IR filtered lens. Battery Life: 3 to 4 hours. Power Supply: Internal Lithium-ion battery. Size: 93 x 47 x 16 mm. Instant auto-detecting function. Includes: 1 x Camera Detector with Directional Finder. 1 x Power Adapter. 1 x Set of Earbuds. 1 x Instruction Booklet.